General InformationProduct Type: Cleaning WipeManufacturer Part Number: PSDP077600Manufacturer Website Address: http://www.nice-pak.co.ukPackaged Quantity: 100 / BoxManufacturer: Nice-Pak International LtdProduct Name: Sani-Hands ALC Disinfectant Hand WipeProduct Line: Sani-HandsBrand Name: Sani-Hands ALCMiscellaneousCertifications & Standards FDACountry of Origin United StatesRecycled NoRecycled Content 0%Post-consumer-waste% 0%Assembly Required NoPhysical CharacteristicsColor: WhiteProduct InformationApplication/Usage: HealthcareFeatures: Anti-septicQuantity: 100 Sheets Per BoxFull Size: 5" x 8"
Wet-Nap Fresh Scent Antibacterial Hand Wipes are the total solution for daily on-the-go hand cleaning. 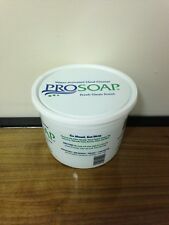 From killing germs to just cleaning up messes, use anytime when soap and water are not available. Go ahead and enjoy your sticky, cheesy, saucy favorite foods; Wet-Nap's has got you covered with the original family hand wipe. Hand Wipes, Antibacterial, Fresh ScentOther Information: Lot No. and expiration date. See inside top panel. Misc: 7.2 x 5.3 in (18.29 x 13.46 cm). The original. Moisturizes with aloe. Kills 99.99% of germs. The original Wet-Nap Antibacterial Hand Wipes are the total solution for daily on-the-go hand cleansing. From killing germs to just cleaning up messes, use anytime when soap and water are not available. Go ahead and enjoy your sticky, cheesy, sauce favorite foods; we���ve got you covered with the original family hand wipe. Share the love, not the germs! The same great scent of our Coconut + Lemon Hand Sanitizers is available in 30 pack Wipes! Everyone™ sanitizers are 99.9% effective against most common germs and are scented with pure essential oils. Only the subtle scent of bright Lemon essential oil with Coconut essence is left behind – no nasty chemicals or sticky residue. We believe what we put on our bodies is as important as what we put in our bodies. There are three main benefits from using this hand sanitizer: 1. A refreshing blend of 100% pure Lemon essential oil and Coconut essence satisfies the senses, leaving hands subtly scented. 2. These sanitizer wipes contain Non-GMO Alcohol and Vegetable Glycerin to make sure hands are clean and moisturized. 3. Everyone™ Sanitizers are 99.9% effective against most common germs. Everyone loves clean hands! Getting dirty means getting things done. Kleenex Wet Wipes make cleanup easy and keep you moving forward. Strong for hands yet soft for face and body, Kleenex Brand disposable wipes are softer and 35% thicker than the leading national brand of wipes. Made with purified water, these non-flushable wipes contain no harsh chemicals. Free from alcohol, parabens and dyes, our hypoallergenic and non comedogenic wipes are dermatologically tested for a clean you can trust. These cleansing towelettes are tested and approved for use around gentle eye areas and are safe for contact lens wearers. These moist wipes are both versatile and convenient for multi-purpose use. Use them before and after meals, or for a quick clean up when you eat lunch at your desk. Keep them handy to freshen your face before heading out with friends after work. And take them along for cleanups while you’re on the go. Get the gentle cleansing power of water anytime, anywhere with Kleenex Wet Wipes. Also available in Germ Removal and Sensitive options, in resealable flip-top packs and individually wrapped packets. Kleenex Disposable Wet Wipes,​ Hand and Face Moist Wipes Perfect for Travel,​ 56 Hypoallergenic Handi Wipes per PackContains 8 flip-top packs with 56 wipes per pack (448 total wipes)So cushy! Kleenex Wet Wipes Gentle Clean are softer and 35% thicker than the leading national brand of hands and face wipesNo sticky residue: Thanks to a formulation containing gentle cleansers and 98% purified water, the wipe cleans your skin without harsh chemicalsGentle enough for daily use: 0% alcohol, parabens, sulfates or phthalates. Hypoallergenic and dermatologically tested. Please do not flush.Already tried it? Also available in Germ Removal and Sensitive varieties for all your face and hands cleansing needsMoist wipes are hypoallergenic and dermatologically testedKleenex Wet Wipes are also available in Germ Removal and Sensitive varietiesPackaging may vary from image shown. The original Wet-Nap Fresh Scent Antibacterial Hand Wipes are the total solution for daily on-the-go hand cleaning. From killing germs to just cleaning up messes, use any time when soap and water are not available. Go ahead and enjoy your sticky, cheesy, saucy favorite foods; Wet-Nap Fresh Scent Antibacterial Hand Wipes have got you covered with the original family hand wipes. GET TOUGH ON DIRT AND STAINS: It's time to get tough on stubborn grime, gook and gunk- and the ONLY way to do it is with Bulldog Heavy-Duty Wipes! 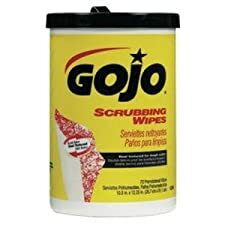 These all-purpose wipes are the strongest, most powerful way to CUT THROUGH dirt and grease and leave your surfaces sparkling clean! But don't take our word for it- hit the "BUY NOW" button and see for yourself!. HUNDREDS OF USES: Use Bulldog wipes for those tough and sticky messes around your home! You can also use them as an automotive cleaner- to clean brake dust, chrome rims, alloy wheels or to degrease any car part! You can even use them outdoors- to clean outdoor furniture, patio cushions, canvas and plastic lawn furniture, or when you're camping. The ways to use them are endless- literally!. TOUGH ON DIRT- SOFT ON YOUR SKIN: Enhanced with soothing Aloe and Vitamins E, C and B5- Bulldog Wipes will get the job done without irritating or sensitizing the skin! They are made to moisturize and protect sensitive skin while at the same obliterating all traces of dirt and grease!. REFRESHING CITRUS SCENT: These Anti-Bacterial wipes are made without harsh chemicals and therefore don't have a strong chemical odor! The pleasant lemony scent will ensure that not only will your surfaces (and hands!) be 100% clean- they will also smell amazing!. NO RINSING NECESSARY: The durable fiber weave design of the Bulldog Wipes allows them to hold just the right amount of solution to be freshly moistened and quick-drying at the same time! No water or rinsing necessary- it doesn't get easier than that!. Why Bulldog? 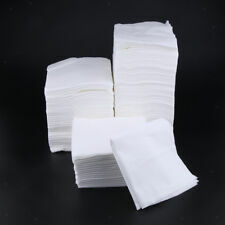 Move aside common wipes, and let the professionals work. 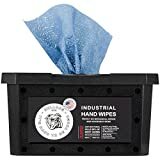 Bulldog Industrial Hand Wipes are here to get the job done. Bulldog Wipes are tougher, stronger and more powerful than any other wipe out there! They’re made to work harder- so you don’t have to! Easy to Use Pop-up Tub Other wipes come in clunky and unwieldy containers, making it hard to not pull out a whole bunch of them when you just want one. Bulldog wipes come in a handy, easy to use pop-up tub that allows you to take just one wipe at a time, and you don’t need two hands to do it: the ultimate convenience! The lid also shuts tightly- keeping the wipes perfectly moist and ready for use! Tough Durable Weave: Unlike standard fragile wipes that tear and fall apart- Bulldog Wipes are made from a durable fiber weave that can stand up to the most vigorous scrubbing. They’re ideal for those tough jobs that require a stronger, better wipe. Soft on Skin: The wipes also contain Aloe, Vitamin E and Vitamin C and B5. 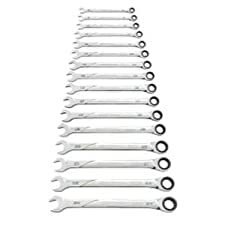 This means that while they are tough on grease and grime- they won’t be tough on your hands! Bulldog wipes don’t contain harsh chemicals and are sure to leave your skin feeling soft and smooth- and without any sticky residue! Innumerable Applications: There are hundreds of ways to use Bulldog Heavy-Duty Wipes. Use them to remove: Grease, Paint, Dirt, Mud, Soap Scum, Nail Polish, Food Stains, Pet Messes, Adhesives, Lipstick Stains, Wine Stains, Scuff Marks, Decals, Chalk, Dust and SO MUCH MORE! It’s time to work Smarter, not Harder- do it with Bulldog Industrial Wipes! Silicone gasket in lid keeps wipes fresh and prevents drying out. Dispenser lid opens with a simple, one-handed push. Weighted plate dispenses one wipe at a time. Non-slip feet keep Dispenser in place and compact size fits neatly on the back of the toilet. Easy-to-clean, polished plastic construction fits up to 60 flushable wipes Dimensions: 6 in x 4.25 in. The OXO Good Grips Flushable Wipes Dispenser is the perfect way to keep flushable wipes fresh, accessible and discreet. The silicone gasket in the lid keeps wipes fresh and keeps them from drying out. The lid opens with a simple, one-handed push and the internal weighted plate dispenses wipes one at a time. The non-slip feet keep the Wipes Dispenser in place and its compact size allows it to fit neatly on the back of the toilet. The clear indicator window on the front of the Wipes Dispenser shows how many wipes are left, so you'll know when it's time for a refill. The polished construction is easy to clean and the Dispenser fits up to 60 flushable wipes. Use Up and Up Glass Wipes for a quick, easy window and glass cleaning. Wipe Glass Surfaces to maintain clean and streak-free glass maximizing visibility while driving. Up and Up Wipes are designed specifically for automotive use and contain an ammonia-free formula. Use on all windows including tinted windows. Use Up and Up Leather Wipes for quick and effective cleaning in a convenient, disposable wipe. Wipe leather surfaces to keep leather interior looking new. Use to protect your leather's soft, rich look while protecting the leather from harmful UV rays. Use Up and Up Cleaning Wipes for quick and effective cleaning in a convenient disposable wipe. 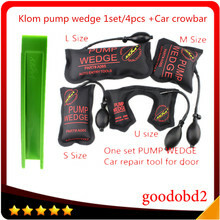 Can be used on most automotive surfaces. Up and Up Cleaning Wipes will keep your car looking like new. Specifically formulated to clean dust, dirt and grime. Use Up and Up Protectant Wipes for a quick and effective cleaning in a convenient and disposable wipe. 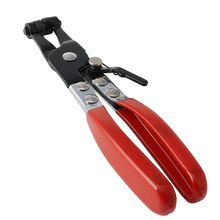 Wipe hard non-porous surface to maintain a clean shiny appearance. Can be used on most plastic and vinyl surfaces. Specifically formulated to protect against UV damage, discoloration and fading. The silicone gasket in the lid keeps wipes fresh and keeps them from drying out. The lid opens with a simple one handed push and the internal weighted plate dispenses wipes one at a time. The non slip feet keep the Wipes Dispenser in place and its compact size allows it to fit neatly on the back of the toilet. The clear indicator window on the front of the Wipes Dispenser shows how many wipes are left so you'll know when it's time for a refill. Up and Up Baby Hand and Face Wipes gently and easily remove dirt from baby's delicate skin. Unscented, hypoallergenic and alcohol free, these soft wipes provide a gentle clean, ideal for use anytime, anywhere. Always be prepared for those messy moments by having packs on hand at home, in the diaper bag, and the car. Heavy-duty hand cleaning wipes come in a convenient container. Premoistened wipes are made with a heavy-duty waterless cleanser. Cleaning wipes have an orange citrus scent. If you have any further questions, please feel free to contact us. We look forward to serving you in the future. Contains 1 - 210 count recycled container. Lavender Essential Oil soothes the senses and restores tranquility. Leaves skin soft, clean, and touchable. Certified Gluten-free, Cruelty-free and no synthetic fragrances. All-purpose. Cleans and sanitizes hands and other dirty things. Sugar Cane Ethanol is a disinfectant that does no harm when absorbed into skin or our ecosystem. 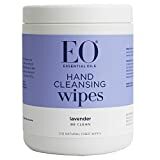 Use with abandon, the only residue these sanitizing wipes leave behind is the incredible scent of pure Lavender essential oil. This wipe dispenser is perfect for offices or classrooms. Stay clean. Stay healthy.